Hello everyone, you may have noticed we haven't posted an update in quite some time. This update is going to cover assets that are not finished, pardon the dust. Most of the team has been wrapped up in university work, hardware defects, or both; fortunately, it looks like most of the team is recovering time and we should hopefully be able to share progress on a regular basis once again. 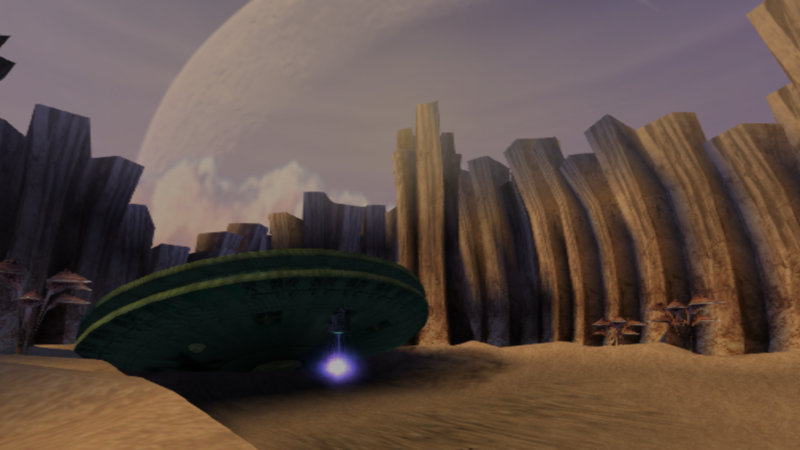 So with that said, I wanted to spend this weekend to talk about some of the progress I have made recreating the TimeSplitters 1 level Planet X. 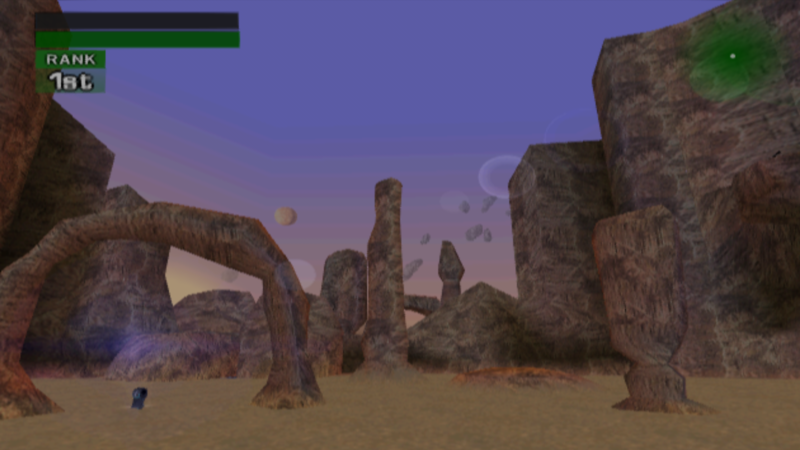 Pretty soon after deciding I wanted to tackle the terrain-heavy level, I had thought "What could we do to make the art design between Planet X and Return to Planet X closer?" Well, just looking at the terrain between the two levels, they are fairly similar with canyon walls, land bridges, many tunnels, and routes that wrap around the levels; with that said, the terrain pieces appear as if they have been created from different concept art work, especially considering the successor level has canyon walls that appear as if vertical erosion or carving gave them their distinct appearance. Ultimately, I wanted to create terrain pieces that would be able to fit within Planet X as well as Return to Planet X when the time comes for that; so I have set out and have not only been re-sculpting the original level's unique terrain pieces, but I am also recreating the terrain from Return to Planet X to utilize in a matter that allows for the environments to look a bit closer in resemblance than before, not to mention ensure the terrain pieces fit within the confines of the original level. So I what I am sharing today is what is probably the tallest rock formation from Return to Planet X, actually pictured in the third image. It is comprised of six columns clustered together and is just over 43 meters tall. From the selected geometry, I pieced together a template I could sculpt a high polygon object from. 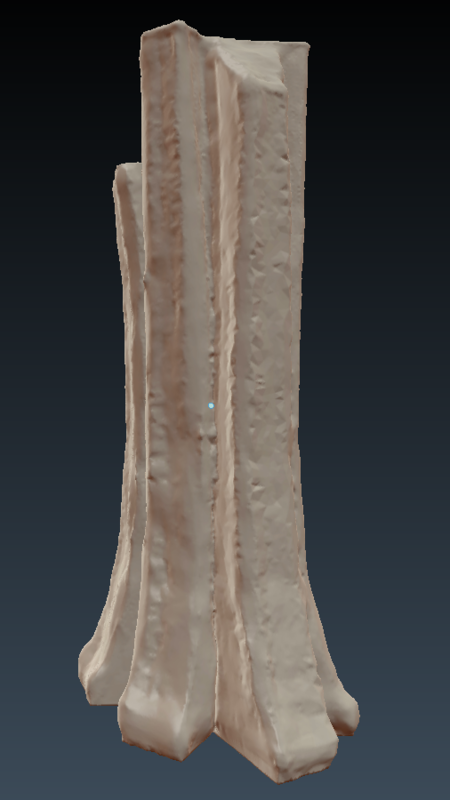 The sculpt involved getting the basic shape from the original geometry and adding additional details through further indentations and pockets to smoothing column corners to adding further vertical ridges. From there, I retopologized the spire into a mesh that was far more friendlier for hardware in terms of polygon and vertex count. I have also been working on some of the texture maps for the in-game mesh, though I do have to hold off on actually finishing those until I get through all geometry first. In addition, I hope to share other work on the map from other team members soon. 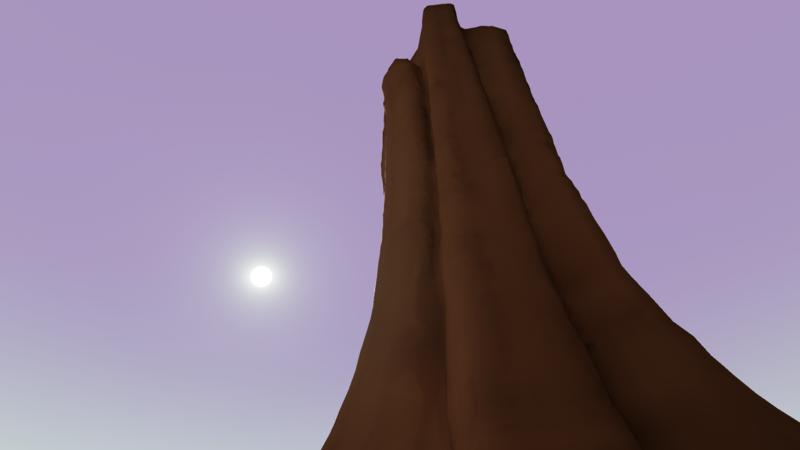 Adam, of whom the team has affectionately called our "3D General," has recreated the arch seen from the first image in the article, and has also been working on some rock textures that we'll probably utilize very heavily throughout this and other levels. Momotoro should be producing some concept art in the near future as he and I will be working together to bring not only the terrain but the interior pieces closer in design. Hopefully this was insightful! In the meantime, I'll be mixing in some Planet X work with Bunker work on my Twitch broadcasts , and you can be certain to catch me or another team member on the forums.